We are pleased that you chose to visit our website. Covington officials, staff and residents are known for a strong sense of community pride; remembering our past, preserving our heritage and focusing on a bright, positive and prosperous future. Our City offers a wide range of services and facilities for citizens and visitors. With a sound financial base as an independent City of the second class, residents pay property taxes and fees for services provided by the City unlike residents of towns who pay town and county property taxes. We enjoy a Council/Manager form of government comprising an elected City Council of five members and City Manager appointed by City Council. 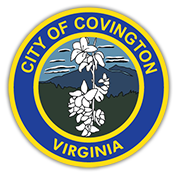 Enjoy your online visit with the City of Covington and return again soon! We appreciate you sharing your thoughts with us!! !